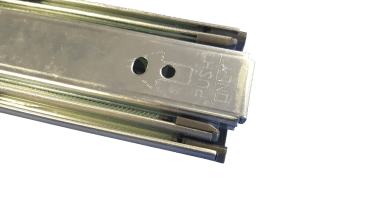 Push to open drawer slides also known as touch release drawer slides are perfect for small drawers. 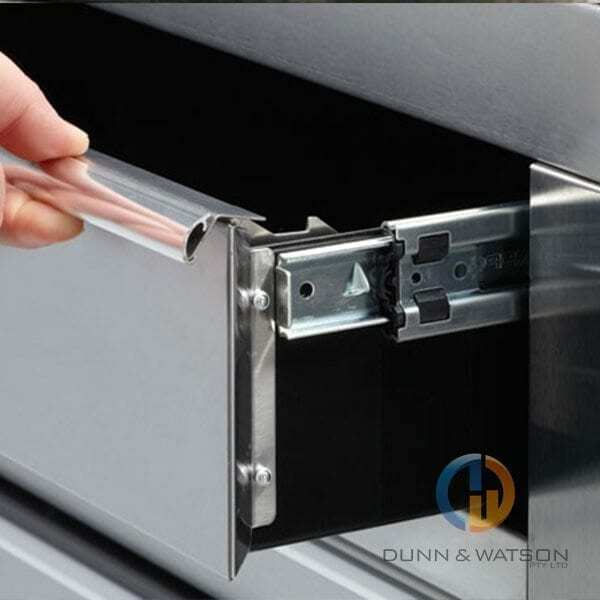 Push to open slides are great because you don’t need a handle for your drawer, you can simply lightly press on your drawer face and it will open. 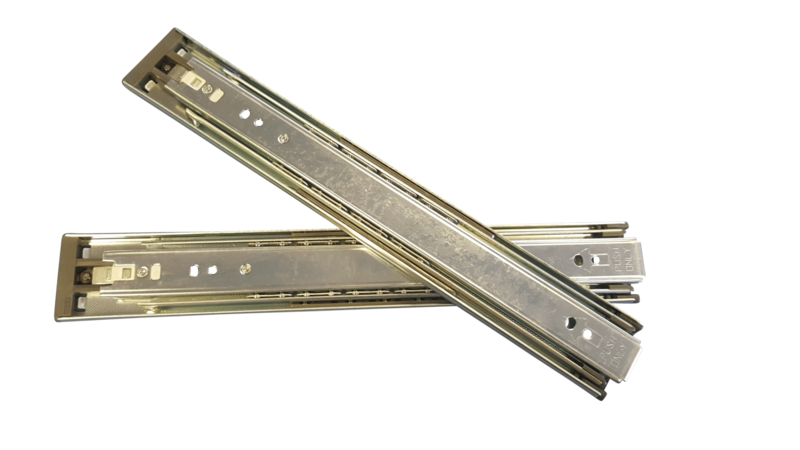 Light duty telescopic drawer slides and drawer runners perfect for units that hold light objects. 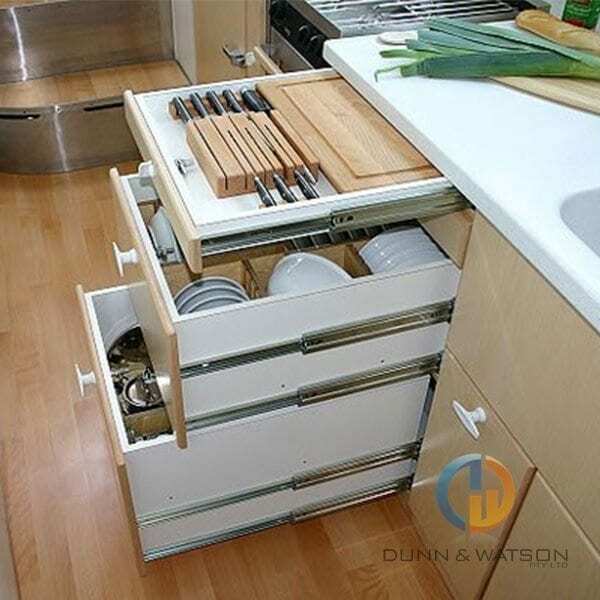 Simply lightly press on drawer face and drawer pops open. 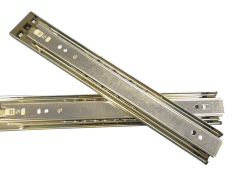 Drawer Slides offer full extension. 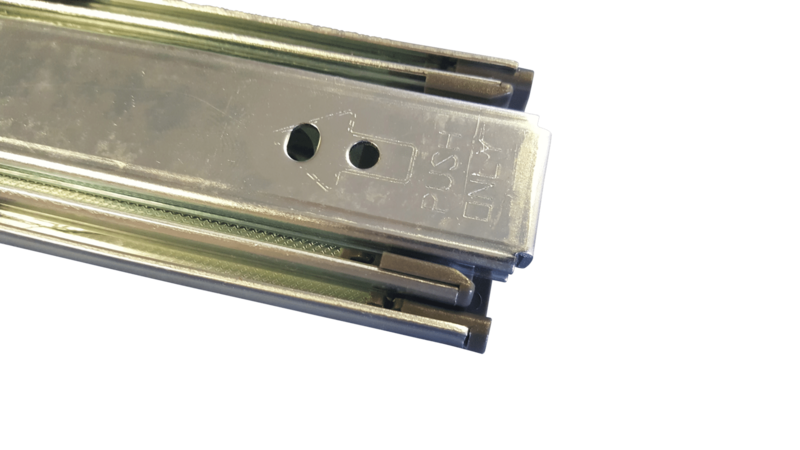 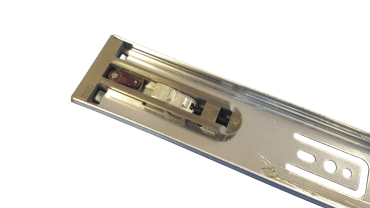 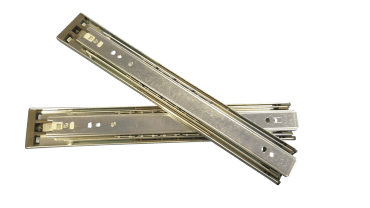 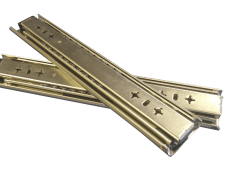 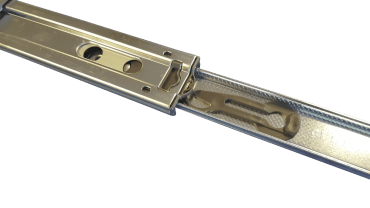 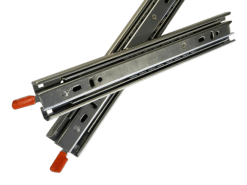 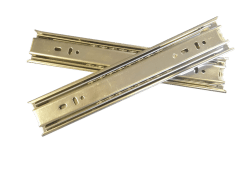 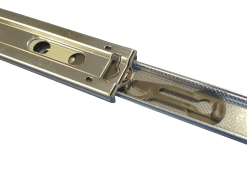 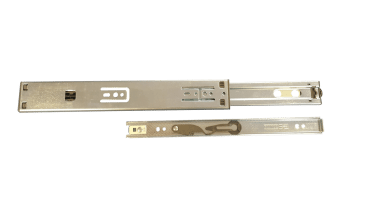 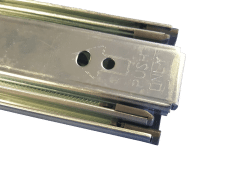 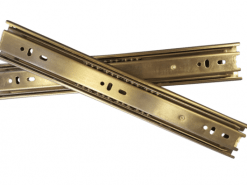 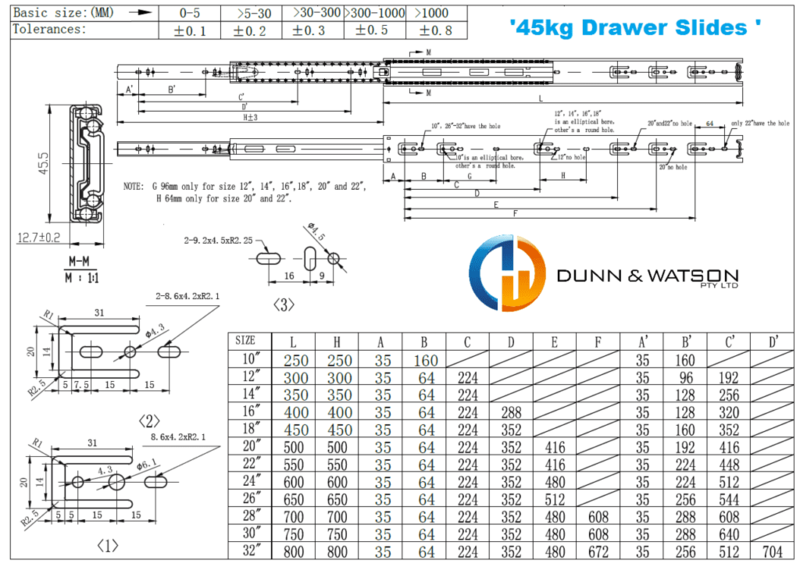 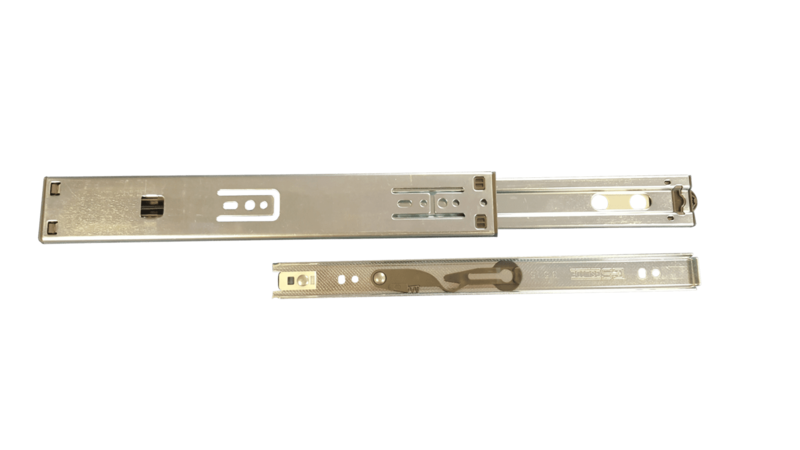 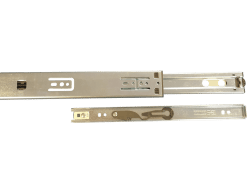 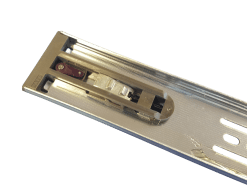 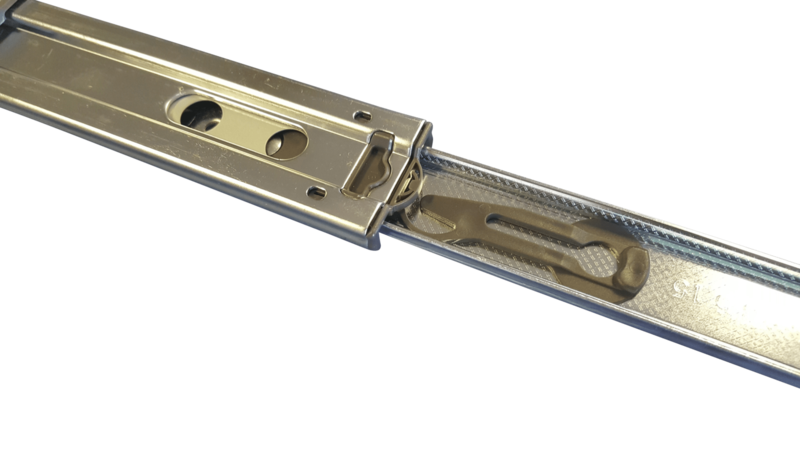 These drawer slides are commonly used in domestic applications and not ideal for heavy offroad environments. 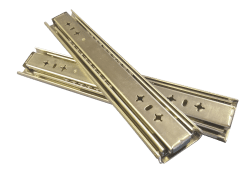 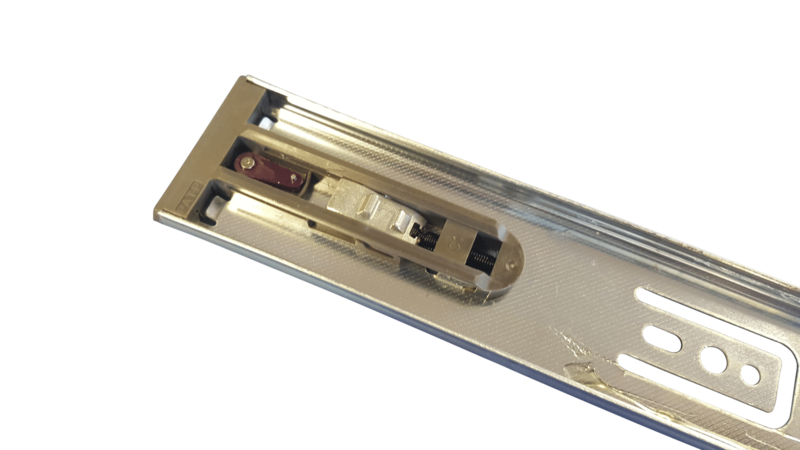 These runners could be used to hold lighter objects in your trailer or caravan but may cause problems down the track as the plastic mechanism at the rear of the slide may wear out from excessive vibration should you carry excessive loads in the drawers.